I saw this product many months ago on a YouTube video. I was so into it and searched for it everywhere and the only place I could find it is on Althea. 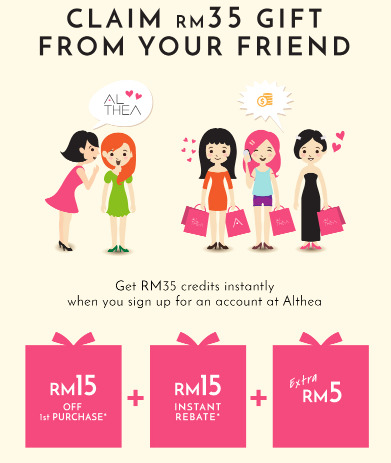 Thank you, Althea, for giving us (Malaysians) an opportunity to access to rare Korean beauty products. Now let's get into this exciting product. We have heard of lip tint which stormed the beauty market few years ago. But now, there's lip powder! There's very little product explanation on the packaging. In fact, I can't make out any of the description printed on the package. They're all in Korean. The product as it is, comes in a form of powder. When it comes in contact the skin, it turns into a gel-liked texture and glides on smootly. It didn't just ends there, when it dries, it dries matte. Does that make sense? This is the interesting part of the product - the texture! It has very long staying power, almost the entire day. Because it dries matte, it doesn't stain the cup and it doesn't wear off after meal. The staying power is the selling point. For those who are lazy to reapply lipsticks throughout the day, like me, this is a great product to have. The colour is also vivid and very bold. It is a new product of its own. I don't think there's any lip powder introduced before this. So it takes awhile to get acustomed to the texture and finishing. I do admit, it feels really weird when I first put it on because I was used to applying lipsticks. This all together is a new experience that I have to get used to. I also don't like that it is patchy. I needed 3 coats to get an even coat mainly because the powder turns into gel when applied on the skin, so it is being pushed around and very hard to get an even coating. For those who have dry chapped lips, you may not want to try it as well. The powder can be over drying on the lips. Though it is nice to have, I am not sure if I would recommend this product. It is a very interesting product and if you're up for something new, then go for it. Otherwise, this product don't really overcome the problem with drying lips. The only place where you can get this Rire Lip Powder is from Althea. You can also get it from eBay and Amazon, but Althea is definitely a fuss-free shopping sit which I recommend. If you decide to purchase from there, I have a discount coupon for you. Just follow <<this link>> and register, you will receive RM35 credits in your account.